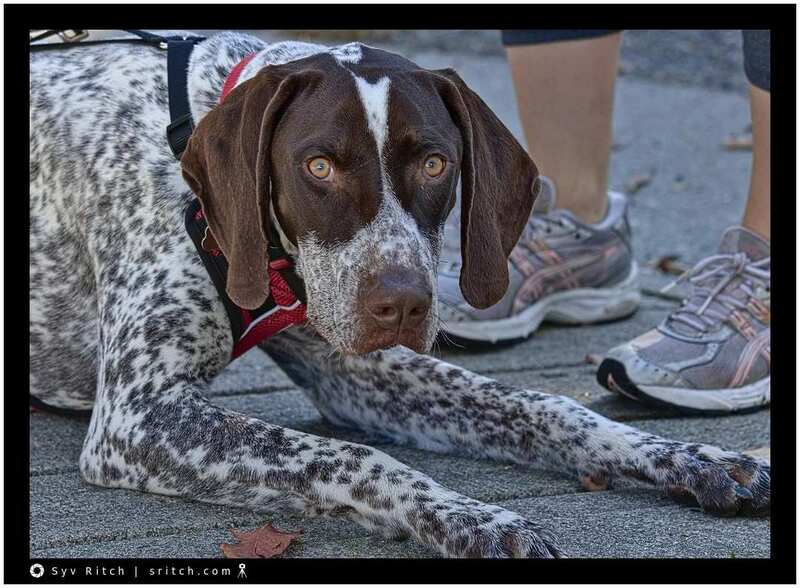 Beaumont looks like a perfect German Short-Haired Pointer. But he’s rambunctious. I think that it’s because is young and these dogs need to run and run. Beaumont is very high strung and has piercing eyes. He’s ready to pounce. Just release him and see what will happen… He had a 100% concentration. Not once during the few minutes of our brief encounter did he takes his eyes from me. He never looked at my dog that was doing his best to hide behind me. There are so many towns called Beaumont: Alberta, Quebec, plenty in France, UK, Belgium and the US. But, his name is after the town of Beaumont, California.